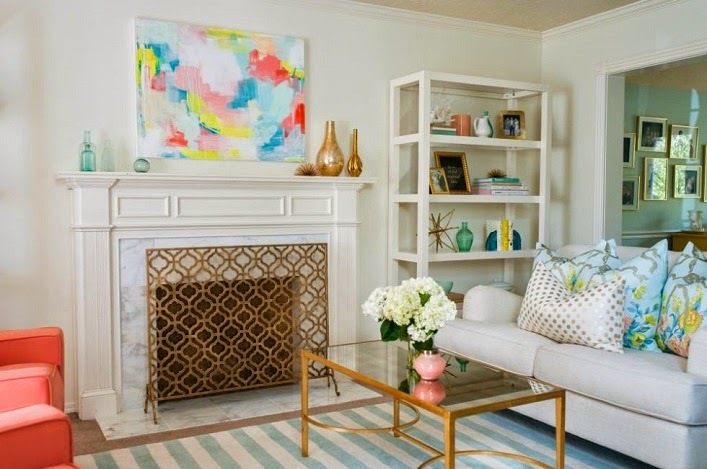 This formal living room used to look dark and dreary, thanks to designer Caitlin Wilson, it is now transformed into a bright and cheerful space! 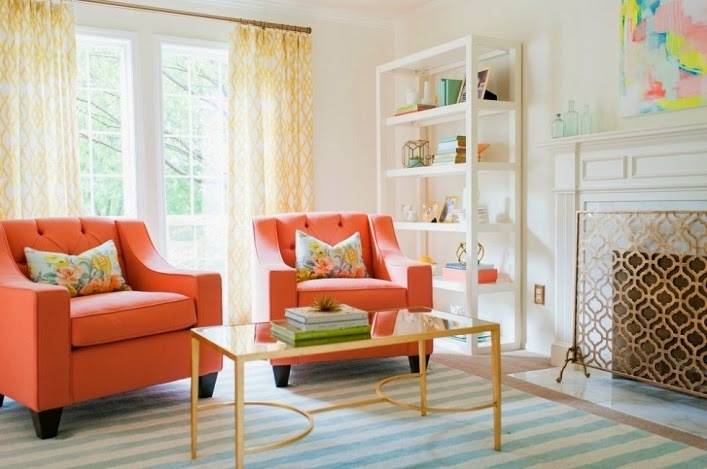 The pretty color palette of coral and light blue feels light, fresh and inviting. 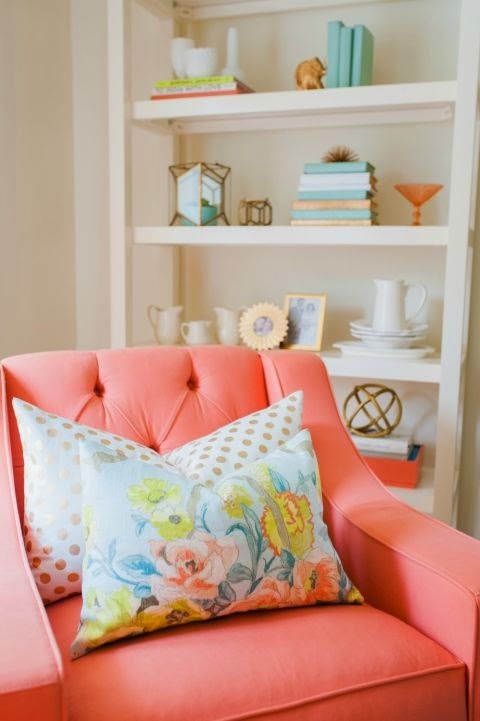 I am swooning over the beautiful side chairs and lovely throw pillows! Such a chic and gorgeous space, what's not to love? 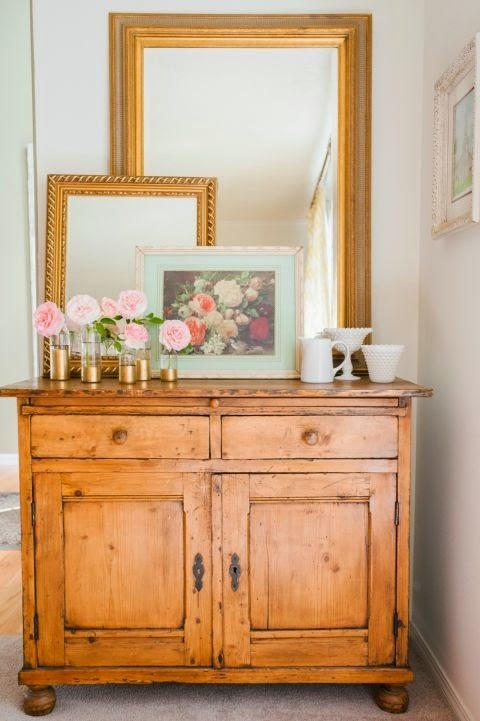 Are you drawn to this delightful room as much as I do? So bright and cheerful! A "Happy" room! This is pastel haven for me! 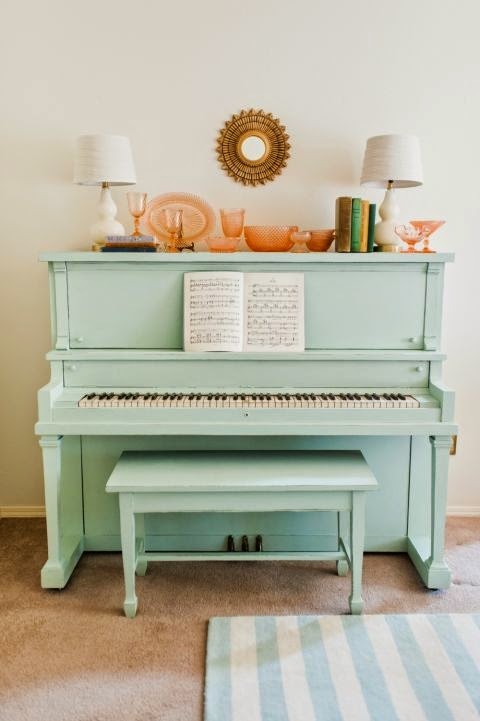 love that piano!